Selling due to having new wheels, no longer need these. Lips are pretty good, and boy are they shiny in sunlight. Very light oxidisation on the surface, but nothing a bit of metal polish should fix. Located in Newcastle, and would prefer pickup, never posted before but if you would like I'm sure I could figure something out. I also come down to Sydney occasionally, so a mutual meeting point may be possible, just ask. trade for an ae82 twincam? boy howdy i'd love a set. wanabdrifta - I dont know, I didn't do the paint, but i will be finding out soon for when I flare my guards to fit the new wheels, I'll let you know when i do. Lameah - If your serious, I may be interested. 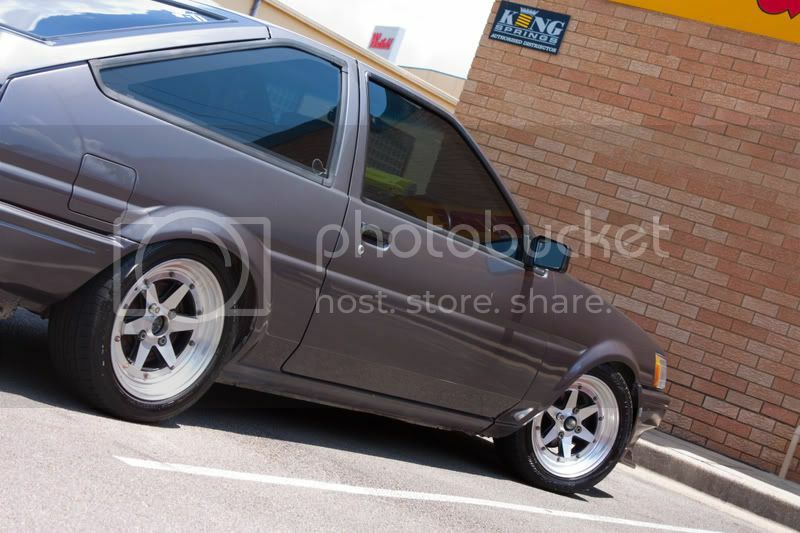 Condition, rego, pics, location? Do they come with tyres? Sorry, forgot to say, these are with NO tyres.